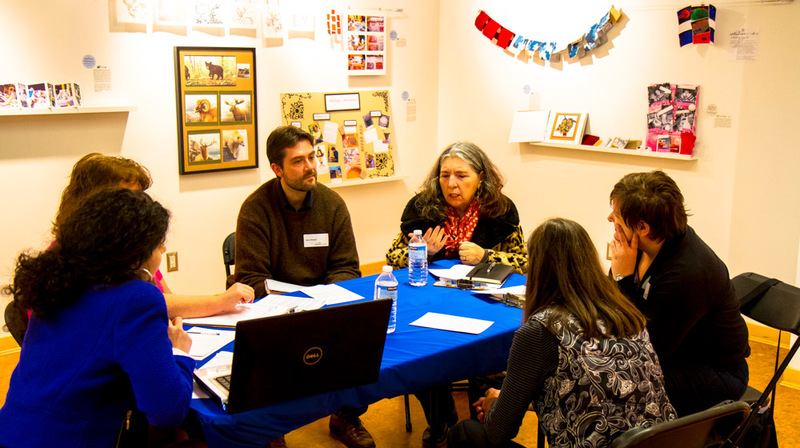 The first installment of Infusion Studio took place at ArtStarts on February 27. Entitled Momentum!, the event was a great sucess and an inspiring day for all involved. 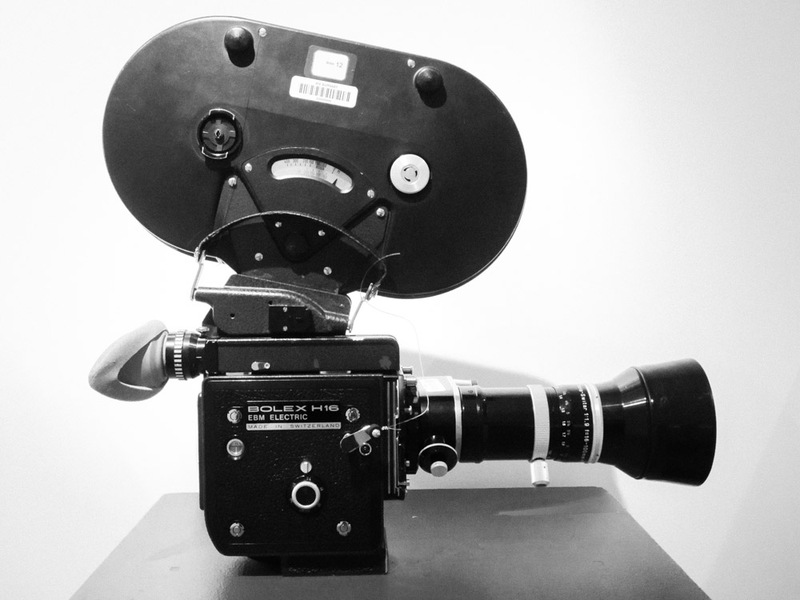 Film created by Camilo Rolfe and Patricia Lara. Music by Rupinder Sidhu. 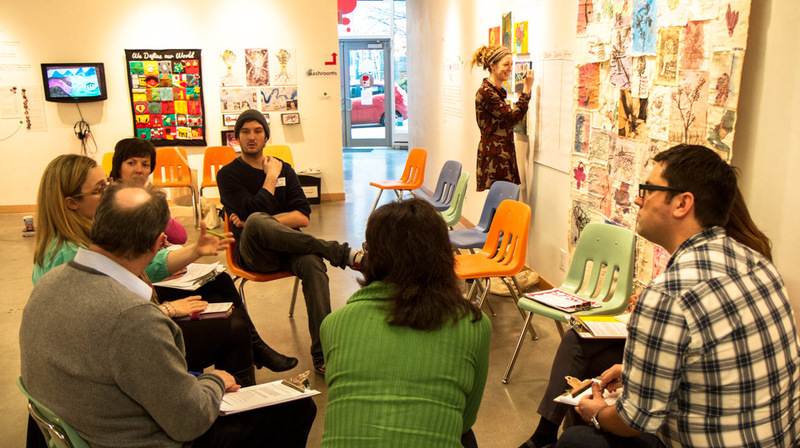 Infusion Studio is a series of professional learning opportunities for teachers and artists designed to shift how arts based practices and their importance, are perceived in classrooms and communities across BC. Through professional learning opportunities throughout the year, we wish to provide practical resources and approaches that can enhance the way youth, artists and educators are engaged in and through the arts in BC. Momentum! 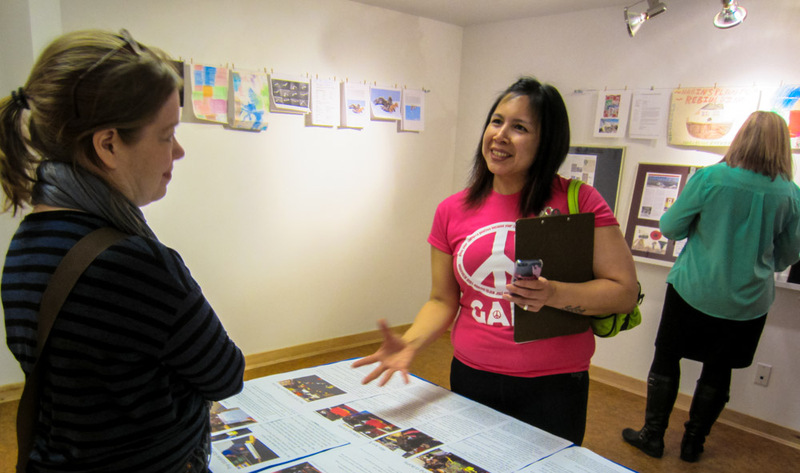 was held at our ArtStarts location at 808 Richards Street in Vancouver. 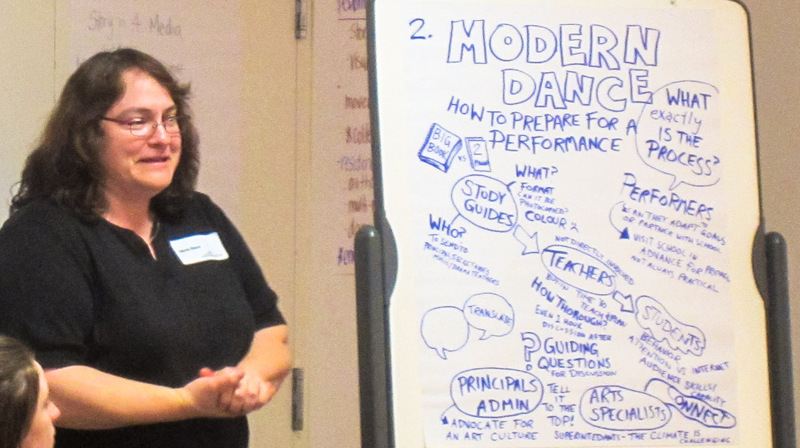 We provided participants with the opportunity, space and time to discuss, share and discover approaches to leveraging arts based experiences in the classroom. 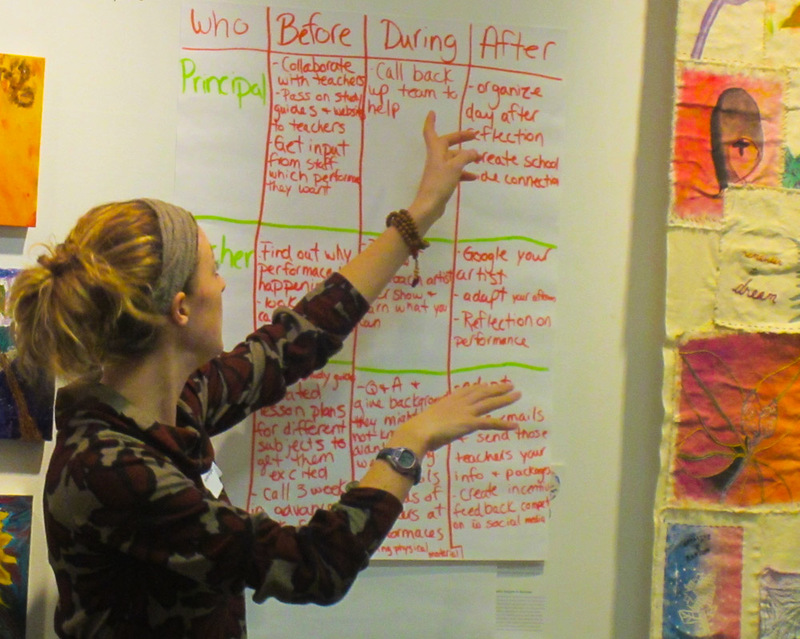 We worked on heightening awareness of a variety of purposes, formats, audiences and processes for documentation designed to position educators, students and artists to make significant connections and derive greater meaning as a result of their efforts. We focused on what we can do before, during and after such experiences, and as a result, experienced how we can best demonstrate the dramatic impact these events have on the significance and value of the arts in the learning process. Our attendees included educators, administrators, community center representatives, performing and visual artists. Participants were welcomed to our ArtStarts location with coffee, tea and baking, as well as interactive activities designed to get people thinking about the many modes available for documenting experiences. 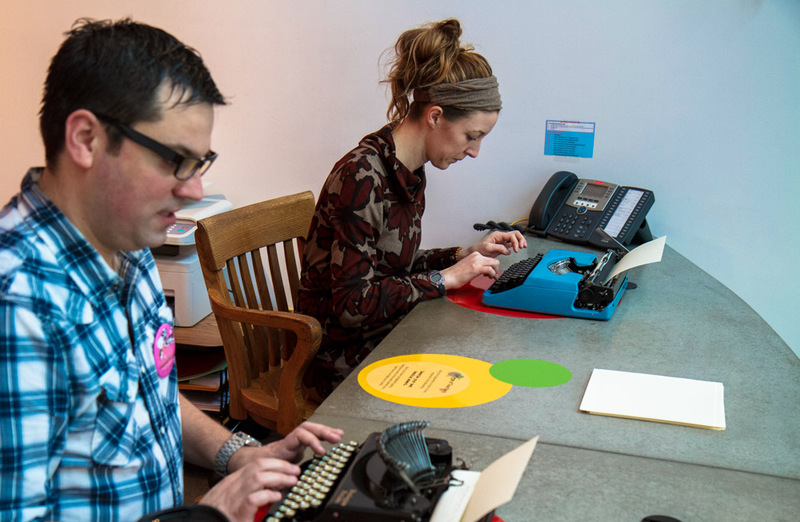 They were able to enjoy a mini Tech Museum, which highlighted many formats for documentation through the ages. Everyone spent time with our accompanying exhibit: Creating Momentum! which included samples of the documentation process in action from various contributors who attended the event. We enjoyed several large group discussions, which included various topics, from outlining strategies for turning schools and community centers into galleries and exhibition spaces, to sharing what can be done before, during and after interactions between artists and schools to maximize the experience for all. There was plenty of opportunity to connect with one another and discuss topics over lunch at our Career Café. Participants were given handouts and a booklet to take home with them. What did people who attended have to say about their experience? "I met so many inspiring creators, and felt motivated to document future artistic processes. It was very special to have so many ideas pooled together." "After attending Infusion Studio, I plan to extend my use of documentation in my music classes, and share with colleagues. Thank you for a great day!" "I didn't really know what to expect, so I was pleasantly surprised! I liked the mix of artists and educators." "ArtStarts helps teachers and students but also helps artists to gain perspective, challenge themselves and promote their talents. ArtStarts helps builds momentum for the arts through their professional offerings and educational partnerships." "After attending Infusion Studio, I am inspired to look at connecting with contacts at schools to promote myself as an artist. Thank you for a very nice day!" "I really appreciated the format of the day and the atmosphere and momentum that was created. I am thoroughly enthused and re-energized by all of the learning I did today." "What a lovely, lovely day of learning. Very informative! Thank You!" "What a beneficial and educational day! A great way to connect artists and educators in a complimentary way!" "Thank you for a wonderful day! Great conversations and opporutnities to meet new artists and reconnect with old friends!" Are you interested in arranging an Infusion Studio event for your team? Contact Terri Anne Wilson at ArtStarts in Schools: terrianne@artstarts.com or 604-336-0626 ext 106. Join the Infusion Community of Practice at artsinfusion.ca to stay tuned for further developments and announcements for Infusion Studio!